Former President of SOFCPRE (2010) and SOFCEP (2001), Claude Le Louarn is currently sitting at the Conseil des Sages of the SOFCPRE and chairs the Aesthetic Chapter and Cellule de Vigilance of this Scientific Society. Internationally, Claude Le Louarn is a training professor of IPRAS, an active member of ISAPS and a former regional editor of Aesthetic Plastic Surgery Journal. In 2004, he was honoured membership by the Australian Society of Plastic Surgeons. In rejuvenation surgery, he first developed the Concentric Malar Lift, then demonstrated the ageing process being different from gravity and initiated the various Face Recurve techniques. In body surgery, he initiated the idea of preserving the lymphatic truncks, to avoid seroma and was also the first to propose to use tunnel dissection after liposuction to protect the vessels. Many others innovations in body contouring were published, with Jean François Pascal: the high superior tension abdominoplasty, the autologous gluteal augmentation flap, the high lateral tension bodylift, the concentric inner thigh lift and new techniques of vertical inner thigh lift and brachioplasty. 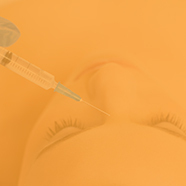 In cosmetic medecine he was first to propose the use of variable concentrations in order to avoid migration during botulinum injections, and also to start the deep tear trough injection of HA.